Can’t seem to find Spiritual Authority in my antiquated KJV. Very good, Brother Wade. A few of our evangelical friends could benefit from a good chaffing, or two. so many other terms we use, spiritual authority is not in the Bible. Neither are Trinity, millennium and a host of others. I do believe there is a spiritual authority implied however in Hebrews 13:7 for the Elder/Preacher. It states that is that such a man properly teach the word of God and have a character and walk that exemplifies Christ. He has no authority of his own and especially not authority to, be abusive in his leadership. Even though every man is fallible, Congregations should have no difficulty in following the leadership of a man who walks with God and properly exegetes and preaches the word; not his agenda. I believe that such a man is actually protected by God in the sense he has God's favor on him. I believe that if someone really attacks a person in authority to they are going against the Lord and they should be careful that the Lord deal with them correctively. This nonsense about don't touch the Lord's anointed is silliness. He will be touched but can rest in joy that be just preaching the word and walking with God he is blest and comforted and should not be concerned to manipulate, lord over or crisis manage his ministry/ reputation. .But if a leaders walk is impure and his teaching shoddy and selfish, he may not count on God to support his ministry. this way and it will save you on conference fees. Just protect your walk, preach the word, love the people and leave the results to God. You have met your obligation to your call. "Protect your walk, preach the word, love the people and leave the results to God." Never has any better advice for people in ministry been given. I think elders walk in God's authority, not their own, and preachers preach the Bible's authority, not their own. Jesus said to the disciples, "All authority has been given to Me; go you therefore and preach." He did not say, "All authority has been given to Me, and now I'm giving it to you." 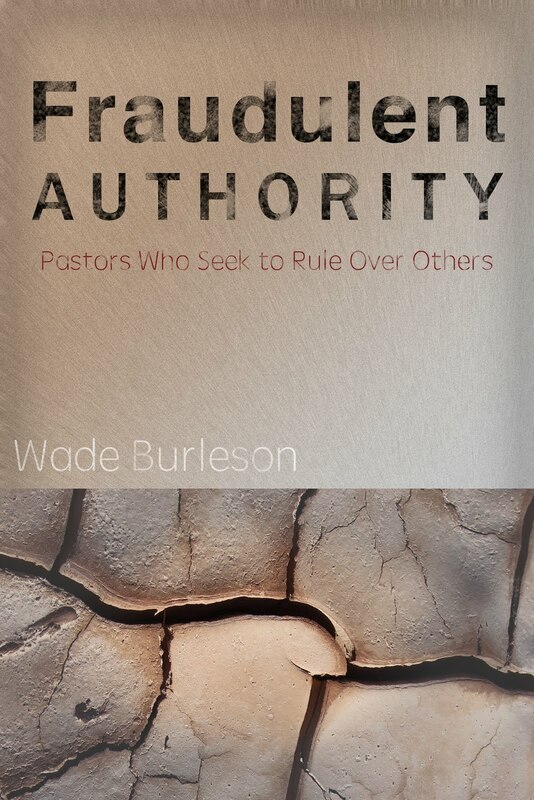 That's why the authority of church leaders is authority under, not authority over, the members. Church leaders should use the authority of what the Bible teaches to build up the members. Church leaders should not think they have the power to tell members what to do-- but only to say what they believe the Bible teaches, to the best of their ability, and leave it to the members to comply-- or not. As for Hebrews 13:7, the word often translated "obey" actually means "listen to and let yourselves be persuaded by." "As for Hebrews 13:7, the word often translated "obey" actually means "listen to and let yourselves be persuaded by." There goes your invitation to speak at the next Gospelly Coalition conference, or the next Together 4 the Cash conference! Great article. I pray more evangelical churches would grasp this concept. There clearly seems to be some systemic problem within the movement consisting of the doctrine trumpeted by T4G, 9Marks and TGC and I believe you nailed what lies at the heart of it. I long ago realized that when one speaks or writes based on conviction and principle--regardless of reception--real change is effected. You are correct, however, that no speaking invitations will be forthcoming. Smile. In ALL of Heb 13: - Is there any mention of - Elder/Preacher? Or - Pastor? Or - Overseer? Or - Deacon? So - Who has this Spiritual Authority - You say is implied - in Heb 13? If none of these “Titles” are found in Heb 13? And - How does a simple sheepie know who has this Spiritual Authority? And - Who is Qualified to have this Spiritual Authority? And - How do we know who is Qualified to have this Spiritual Authority? Can anyone just come along and say - “I’m your Spiritual Authority? And - Spiritual Authority - to do what? Just in case I got some of that stuff? Haven’t you ever wondered? Why? In the Bible? Jesus never mentions Leadership? His Disciples never mention Leadership? And - Haven’t you ever wondered? Why? In the Bible? Mat 23:10-12 NASB - New American Standard Bible. Mat 23:10-12 TM - The Message. And don't let people maneuver you into taking charge of them. If you puff yourself up, you'll get the wind knocked out of you. But if you're content to simply be yourself, your life will count for plenty. Jesus instructed *His Disciples* NOT to be called *Leaders* and NONE did. What did His Disciples know 2000 years ago??? Why recommend someone to follow a Mere Fallible Human? When one of His Sheep can Hear His Voice and Follow.. Allows others to call them “Leader? Are they one of “His Disciples?" Didn’t Jesus, ask His Disciples to Follow Him? Jesus? Yes, and so did Paul. He said we should imitate him (as He did Jesus); follow his example and the pattern set; and to practice the things seen in him; and he speaks of himself as a model/example for others to follow. These and other similar scriptures encourage following one (leader, example, model)as they encourage following Christ in the same manner they do. P.S. I might add that I believe that's why Jesus referred to us as sheep. Because we follow. And we follow others' examples, models, and patterns until we are mature and then in turn, we become examples, models and patterns for the younger sheep. Fantastic post, and thanks so much for it. What a load of good sense, especially regarding the issues of no person having authority over another. It's astonishing how deeply our need is to exercise authority over each other. Slavery is a terrible thing, no matter how apparently benign. Wade, I'm so thankful for your voice on these important issues. When I hear stories like this (about men STILL strategizing to hold onto positions of power within the church), something within my soul cries out, "How long, O Lord? How long??" When will these men humbly bow their knees before the Lord, let go of the controls, and willingly acknowledge that ALL authority on earth and in heaven belongs to Jesus alone? 1. As Kristen said, Elders walk in God's authority, not their own. In regard to the church setting, no man has authority of his own or over another. He is a delegated authority to represent God by delivering his word accurately and lives a righteous life to demonstrate his credibility. 2, Congregations do have a spiritual leader: The Elders or the Pastor teacher. They lead by example, with love, living in fellowship with God, preaching, counseling, comforting and rebuking error. No one has to agree with them or follow them. Unfortunately, to rebel is not to rebel against the leader but to God. That is not profitable. (Hebrews 13: 17. 3.It has been my belief that the universe operates under the authority of God. He does however delegate that authority to represent law and truth on earth. But no man is fir for delegated from God who seeks to misuse or abuse it. 4, My motto has been for many years, "everywhere I go, seek to find God's authority and get under it" I taught my children this. To be a delegated authority means to posses a humility and graciousness that is not easily disturbed. I love that when Moses' authority was confronted he simply, being so meek, prostrated himself before his accusers and said nothing. Forty plus years ago, as a young Christian, God began speaking to me about “spiritual authority”. The first illustration God showed me was between a corporation and a living organism. A corporation is not alive. It exists to serve men’s wills. A living organism is alive because of God. The church is supposed to be a living organism thriving on the presence of God and the Holy Spirit’s power that is God’s gift to us. As such no individual has spiritual “authority” to wield in the Body of Christ. Rather the Holy Spirit calls us to serve one another with various spiritual abilities that bring healing, truth and spiritual empowerment to one another. And this all works through godly sacrificial love. Any gifts we think we may have been given have a certain emptiness and lifelessness without God’s love flowing in our hearts and minds. I really wish more leaders would take to heart Jesus’s words to the Thunder Brothers in Matt. 20:26-28. In my opinion, I think Jesus told them that we should not be thinking in terms of who has authority and who hasn’t. We should rather be asking God how can we serve our brethren with encouragement, support, healing, forgiveness, instruction and empowerment to mature into the fullness of the man Christ Jesus. We are to ALL aim to do the works of Jesus, not just some of us. And then perhaps the Body of Christ will look more like Christ to the world. Operating in the formula the government requires of churches within a top down ownership paradigm, it is truly difficult to then switch to a die to self, supporting people from a servant paradigm. But I think any efforts in that direction will produce more good. So, Paul, Imitating Jesus, took made himself a “Servant” to all. For though I be free from all men, yet have I made myself “Servant” to all. “I am among you as he that serveth”. Luke 22:27. “The Son of man did NOT come to be served but to serve.” Mark 10:45. Jesus, said, He could do nothing of Himself. And was taught of the Father. he received it from God and he conferred NOT with flesh and blood. …the gospel which was preached of me is not after man. Did Paul ever call himself - Leader? Did Paul ever call another Disciple - Leader? Seems Jesus called Himself - The “ONE” Leader. Mat 23:10 NASB. And - Why follow a Mere Fallible Human? Since “Spiritual Authority” is NOT in the Bible. NLT – you “cancel” the word of God to hand down your own tradition. If “Spiritual Authority” is NOT in the Bible? Please explain - Spiritual Authority - to do what? Or, want to get some of that stuff? But - I can NOT seem to find “Spiritual Leader” in my antiquated KJV. I can NOT find one Disciple who had the “Title” or, called them self Pastor. Is that allowed? - Adding all this stuff to the scriptures? Are a “spiritual leader?” - If “spiritual leader” is NOT in the Bible? When Jesus tells His Disciples, He, Jesus is the “ONE” leader?” MT 23:10. Thank you for sharing that. It helps in understanding why you've taken the stand you have. What do you think of the verses in Jeremiah regarding shepherds? Seems like there are good shepherds and bad shepherds. Anyone who accepts a title or a position of 'leader' in the congregation of Christ's people, is automatically being set up to unlawfully appropriate the divine rights of rulership of the Redeemer. 'those who must be obeyed in the congregation', and not toward the Triune God. It is the kind of thing one would expect Screwtape to instruct Wormwood to work on with his patient. As for apostolic/eldership succession; well, this is to my mind a spiritual abomination. This servitude is a type of slavery imposed by dictators who fear 'soul competency', and 'the priesthood of all believers'. The people are held captive by invisible handcuffs . They are denied the liberating freedom of the Gospel , with the result that 'all the voyage of their life is bound in shallows and in miseries'(Julius Caesar by WS). To me,it would seem a virtuous act to topple spiritual tyrants and supplanters. Thanks to you, A.amos Love and Believer333 for the Scriptures quoted with regard to Sola Christus. I fully understand your posts which primarily deal with the abuse of. "Authority." I ageree that although God delegates to spiritual authority to represent God, that individual has no authority of their own, That is why leaders are to be humble, gracious and Christ like and walk with God with a sensitive submission and spirit. There are so many terms we use that are not found in the Bible that we use. Trinity, millennium and others that representative of Scriptural truths. However, if one desires to lead he must be a servant. That is what Paul described in ! Corinthians 4. We are but galley slaves. We need servants, not superstars, leaders, not Lords, Teachers, not tyrants and accountable people not authoritarians. Wade, thanks for posting this. Keep um coming. I wish you and all these posters a very Happy Thanksgiving. Congratulations on a much improved photo! A year went by and I was asked again. This time I accepted. The next time the need of deacons were needed, we asked the church members to write two names and place in the offering plate as it was passed at a business meeting. We took two that had the highest number, discussed among ourselves if they were qualified, asked if they would serve, and then presented them to the church to be voted on. Paul - NEVER called himself - pastor/leader/reverend - Yes? Paul - NEVER had the “Title/Position” pastor/leader/reverend - Yes? Paul - NEVER was Hired or Fired as a - pastor/leader/reverend - Yes? Where did ALL these “Titles/Positions” come from? If they are NOT in the Bible? I wish that were an accurate statement - I NO longer believe that. - For many reasons - Some of which we have discussed in the past - And some of my friends are pastors - and many friends are Exxx-pastors. BUT - What did Jesus say??? And - I am the GOOD Shepherd. And - there is “ONE” Flock - and - “ONE” Shepherd. And Jesus said unto him, Why callest thou me good? there is NONE GOOD but “ONE,” that is, God. and know My Sheep, and am known of mine. And - If I may suggest - Do a word study on “ONE” - See what you get. and scatter the sheep of my pasture! they all look to their own way, everyone for his gain, from his quarter. nor **The Principal** of the flock to escape. (*Principal = Heb - addiyr = powerful, excellent, famous. Most today are taught by “Their shepherds” *The Lost* are Un-believers. BUT - This verse says, God’s people, are *Lost* - *Lost Sheep* - What??? Notice it says - **Their** shepherds. In 1987, I joined a Baptist Church in the land down under, and the Elders’ model was that the Eldership Selection Committee in conjunction with the Senior Pastor would select from a list of nominated people those whom they thought would be suitable to be Elders. They would then present them to the congregation to vote on but the vote was a rubber stamp of the Eldership Selection Committee and the Senior Pastor. The congregation naturally endorsed that presented sanitised list as they had not choices to make. The Selection process was loosely justified but the bottom line was that is the Senior Pastor wanted to wield his power without condemnation or interruption at that time. He was a “small crap” who needed to be a “big crap” on his own “crap pile” (mountain.) While the eldership remained, “yes men/women” there was harmony but when anyone of those Elders questioned/criticized the workings of the church or the leadership style of the Senior Pastor, that member of the “elite” was ceremoniously dumped onto the “discarded dung” heap and replaced by the Eldership Committee with a more “compliant” elder until the next Vote to endorse the Eldership Selection Committee’s offering. I quickly realised that the leadership of the Church were all acting “God Like” and were control freaks who did not trust God to establish a Leadership Team for the Church so that its facade was perfect within their own eyes. Unless you were a “friend” of the Senior Pastor you had no chance of even being considered to becoming a member of the Eldership Team. This church, (and I am sure many others like it), became renowned for chewing up people and spitting them out mangled and hurt so that they tendered to walk away from their relationship with God. Some of those people came with an anointing from God to become Shepherds of flocks but today, they will not set foot in a church because of the proliferation of this “Church Leadership Model” has become entrenched in the Churches around the world. The Senior Pastors want to take authority over sicknesses and situations to demonstrate their “calling” to be “Great men of God” but sadly the wake wave of their passage through the sea of people leave behind a stench that is not becoming of a “shepherd” where the water has become churned up so that it is not fit for drinking and the pastures around them has been trampled by the throngs that attentively hang off every word that they utter. The bible is used by them to justify their excesses in everything that they do and the hoards come to see their greatness, and leave with a hunger for these same excesses within their own fellowships. Oh for spiritual eyes that can see the beyond the facade to the prop(s) that is holding up the delusion that we call “church,” today. Now I too must be careful, in that I do not replicate the same style of facade where the prop that holds up the facade of my fellowship is not hidden behind the rhetoric of my fine words of enchantment. Sadly, the same old same old continues on unheeded because there are no/few men of courage or renown to hold up the Standard of God and who do not mind that their shortcomings are showing. Very well written comment with much to chew on by all of us. Thanks for writing. You mentioned Jer 3:15, and said - “Seems like there are “good” shepherds” - And at one time I thought, and taught Jer 3:15, that way. And “Ignored” all the other verses in Jer about God NOT being happy with pastor/shepherds. I can now see this verse, preached a lot by pastors, in different ways today. Wasn’t “The Law” a schoolmaster, tutor, to **bring us to Christ? ** Gal 3:24. So, could it be , “According to God’s heart?” To bring us to Christ? 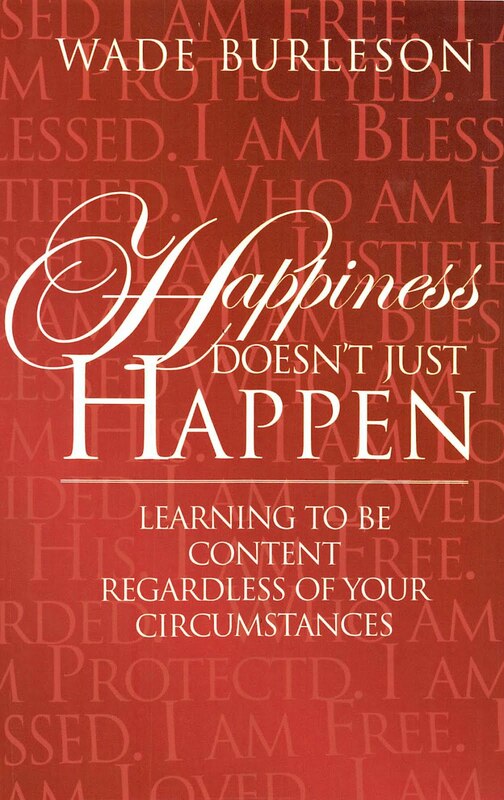 NO matter the circumstances? The trials, disappointments, failures? Well, “Understanding?” - Is this beneficial - Or NOT? Or do “WE,” His Sheep, Need to “Hear His Voice” and Follow Jesus??? To be His Disciple? And learn directly from Jesus - NO middle man? ...Be NOT wise in your own eyes. Hmmm? And - “Knowledge?” Doesn’t “Knowledge” puff up? Is this what “WE,” His Ambassordors, need? From human shepherds? This “Understanding?” and “Knowledge?” Might NOT be a benefit - Yes? Does that take me “Away” from God - Less dependant on Jesus? What happend to Solomon - The wisest man - His End was NOT so good. Are **pastors according to mine heart? ** - NOT so beneficial? Brings us to Christ? Because “WE,” have NO place else to go BUT Jesus? Why do “WE” want these Mere Fallible Human shepherds? When Jesus wants to be our “ONE” Shepherd? If the leadership of a church are not accountable to their congregation, then there is nothing to stop the leaders from collectively going off the rails. There is also nothing the congregation can do should that happen, other than leave. But people who have invested considerable amounts of time and money in a church are unlikely to up and go. The end result is that they will stay and become victims of spiritual abuse. As I get on in life, I become more convinced that it is essential that churches have appropriate checks and balances in place to prevent things going wrong. 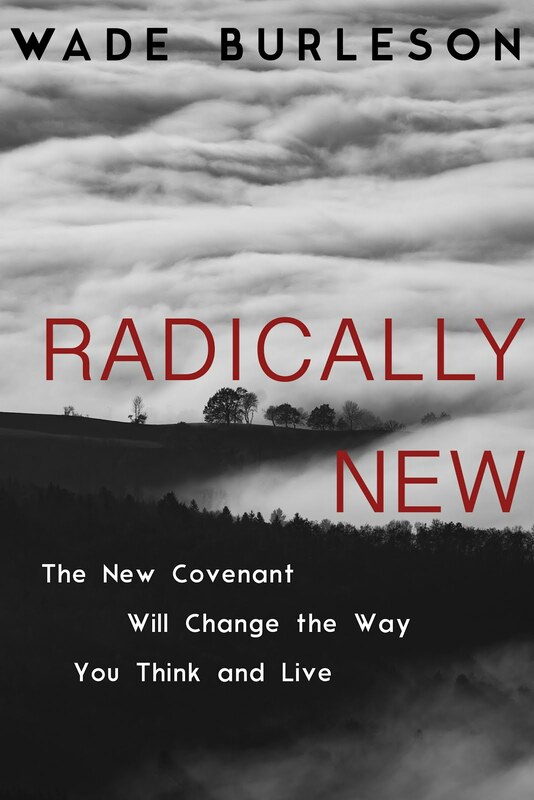 By denying the need for this, Chuck Swindoll is going down a very dangerous road. ...so too an evangelical church that only allows only men in "leadership positions" is as dysfunctional as a homosexual marriage because gifted women are excluded." Just wondering, then, are there gifted women preaching pastors at Emmanuel church? The 501(3)(c) argument is anachronistic. There were no such designations in the 1st centrury. We can't apply it 501s to the New Testament model. Consider a church in a 3rd world country with no official government registration. How abdurd with this argument look to them? The Elders administer the church and that office is limited to men. Was wondering what you mean by that - What do these elders administer? Which church are WE, His Ekklesia, His Body, His Sheep, talking about? The Church of God? - Or - the church of man? I love The Ekklesia of God, WE, His Church, His Body, His Bride, His Sheep. But - I’m NOT so fond of “the church of man.” The 501 (c) 3, non-profit, Tax $ Deductible, Religious $ Corporation, the IRS calls church. Built on the Doctrines of Man and Traditions of Man that Jesus warned WE, His Ekklesia, His Sheep, would Cancell, Make Void, the Word of God. In the Bible, did anyone Go To Church? Join a church? Tithe to a church? The creation order is the reason why the gender specific role of elder has been set. 1 Timothy 2:12-14 specifies this. I is also stated 'the husband of one wife" NOT 'the wife of one husband" for eldership. This is fairly clear and I'm not sure how we argue around this even though women are fully capable. It's a biblical thing. We should follow it. "1 And you should imitate me, just as I imitate Christ. 2 I am so glad that you always keep me in your thoughts, and that you are following the teachings I passed on to you. 3 But there is one thing I want you to know: The head of every man is Christ, the head of woman is man, and the head of Christ is God." The spiritual authority in the church does fall on men. The problem in most churches is that the men fail in their obedience to Christ. And in most churches, thank goodness, there are strong women who step up and fill that void (and fill it well). Bottom line is men do have authority over women. Women, however, should want to follow men because men are obeying what Christ has called them to be. The problem is men expect women to follow them but then the men don't hold up their end of the deal. Men or women ? Wrong question ! When a man or a woman, a youth or a child live in submission to God, aspire to the love and sacrificial service of the Lord Jesus Christ, and walk in the wisdom of the Holy Spirit.....this is a display of true leadership in the group. Such persons do not allow the impediments of restrictive structures to keep them from serving the Kingdom.